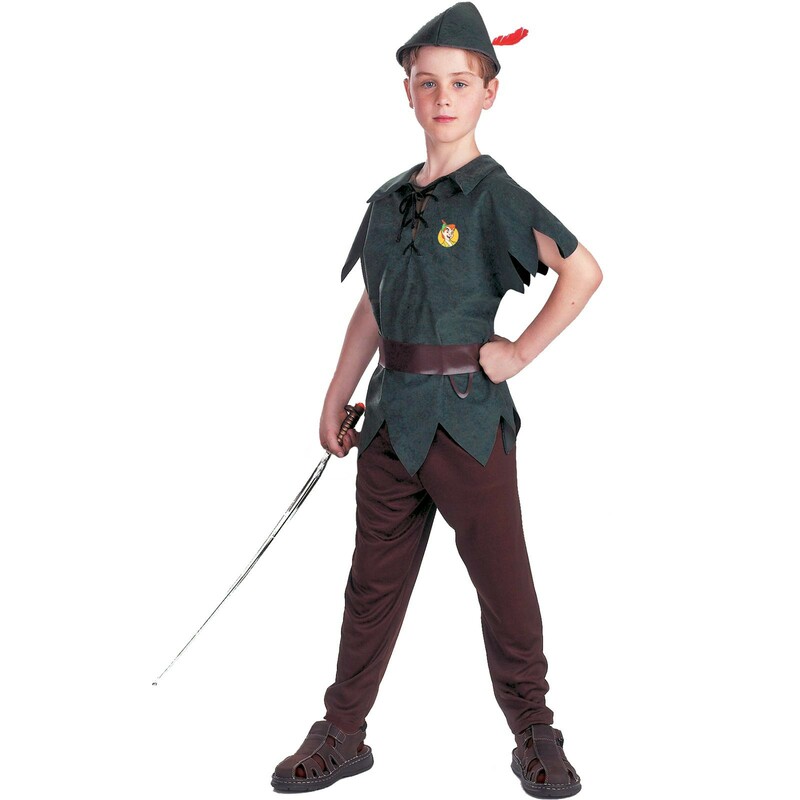 Capture a bit of everlasting youth in this Olive Green and Brown outfit, an official ©Disney costume. Ensemble includes a tunic, pants, belt and hat with feather. Sword (differs slightly from shown) sold separately.